The foreword to the book “Walking the Western Ghats” by Dr. A.J.T. Johnsingh has been written by John Seidensticker. To the laymen who have not heard of Dr. Johnsingh and who would like to know about this book, Dr. John Seidensticker has nicely summarised it in his foreword by writing “After a distinguished career at the Wildlife Institute of India, the renowned Indian conservation biologist Dr. A.J.T. Johnsingh returned to his home in the south to begin his second act. 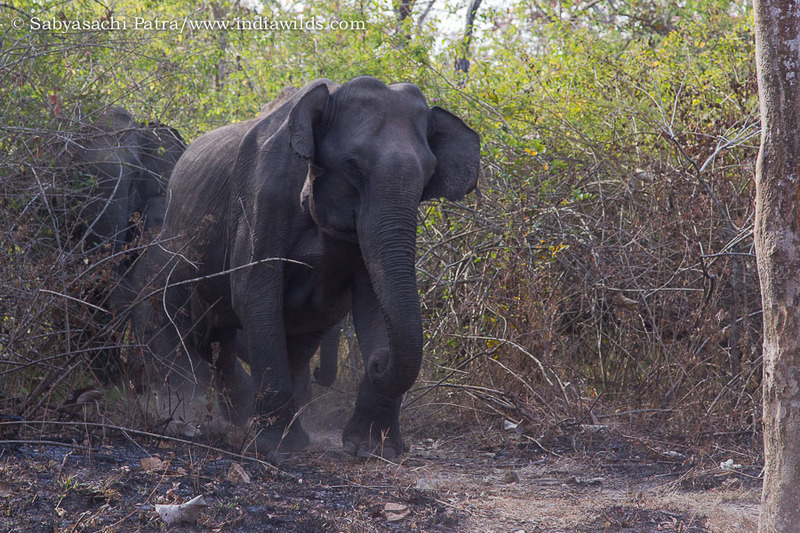 That included looking for the wild places, wildlife, and grand vistas in the Western Ghats by jeep and on foot because Dr Johnsingh lives to walk. This book is the chronicle of his quest as he travelled north and south in the Ghats seeking to identify where forest connections and other conservation interventions can be implemented to increase ecological resiliency in these mountains”. 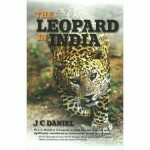 Before the foreword, Dr. AJT Johnsingh has included a chapter on Mr. J. C. Daniel, acknowledging his special role in motivating him to nurture his interest in nature by studying plants and wildlife as well as introducing him to opportunities, which led to his journey as a wildlife conservation biologist of repute. Dr. Johnsingh’s association with Western Ghats spans over sixty years. He has mentioned the changes to some of these places during his multiple visits and that perspective is highly valued. In the introduction chapter, he has given brief descriptions about the various landscapes in the Western Ghats. 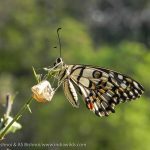 So in a nutshell, one can quickly get appraised about the varied Western Ghats landscape. 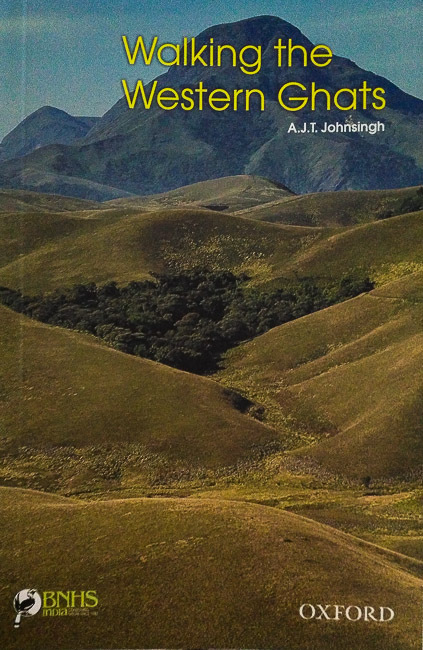 What I find interesting in this book is that Dr. Johnsingh has crisscrossed the vast Western Ghats landscape in jeep and in foot, some of the which have been so less travelled that even the forest guards and watchers accompanying him have difficulty in finding the routes. He recounts those experiences in a matter of fact manner without any exaggeration, as the reader can well understand the pain as well as likelihood of danger. In the Chapter “Lost enroute to Muthukuzhivayal” the author recounts the story when in the evening the guide confesses that he lost the way and then amidst the rain and the leeches, they had to find a flat rock in the middle of a stream which was wetter and colder than the forest floor but free from leeches. They had to spend a sleepless night sitting on the rock and shivering due to the continuous drizzle. Certainly one would appreciate that these experiences are not for the fainthearted. In the chapter Pilgrims progress in Periyar, he tells us an incident when they were sandwiched between two groups of elephants virtually 50m away in a steep slope. 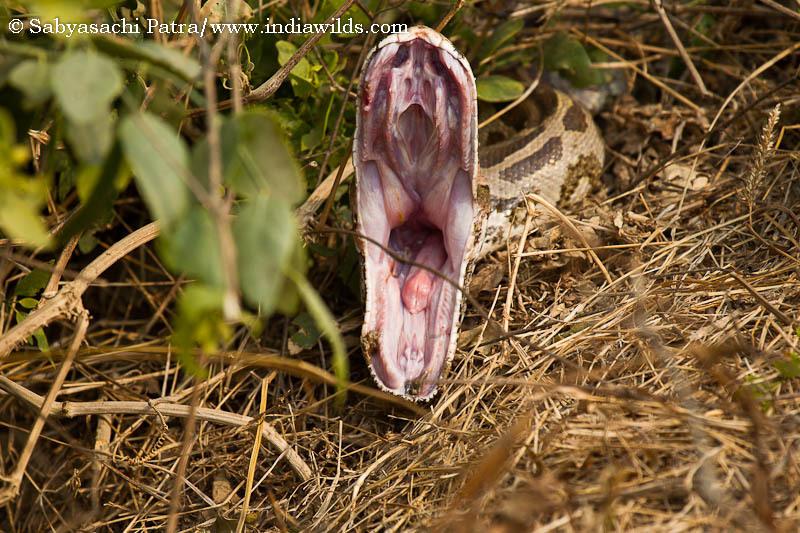 A lot of people recounting their wildlife experiences are prone to padding to show their expertise in a positive light. 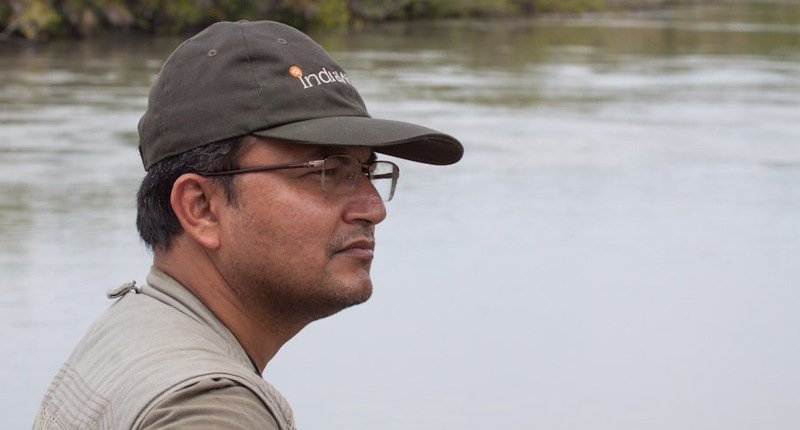 However, Dr. Johnsingh tells his readers “as a teacher of wildlife field craft, I am often asked whether walking in forests is dangerous and I invariably reply, Yes, if you go on your own as an inexperienced person; no, if you are experienced or with an experienced person who knows the forest”. His words “Nothing in my lifetime experience had prepared me for this kind of contingency” is a testimony to the fact that howsoever experienced a person might be, nature is too vast to unravel for us mere mortals and one should remain forever the learner like Dr. Johnsingh. 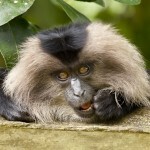 The author writes “the real challenge of conservation in present day India lies in assiduously linking and managing larger landscapes, and upholding and maintaining species like the tiger, elephant, gaur, lion-tailed macaque, great hornbill and king cobra as flagship species, which alone can ensure the ecological values of the landscapes for posterity”. 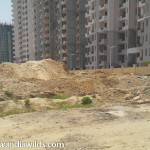 The treks that Dr. Johnsingh had undertaken is not just for personal pleasure. He has identified the conservation challenges and had suggested measures, some of which are being implemented. For Periyar he feels that “the idea of establishing connectivity between the Periyar and Anamalai landscapes remains buried forever as a result of encroachments, cardamom cultivation in Kerala and loss of foothill forests in Tamil Nadu. 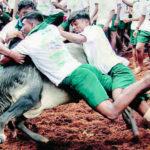 The existing tenuous connectivity along the Theni Forest Division (Tamil Nadu) should be strengthened as much as possible”. Similarly for Parambikulam Tiger Reserve he notes that there are human populations in the core as well as in the buffer. “Tigers have a huge problem living in habitats that are intruded upon by people. Highly intolerant of human proximity, a tiger may abandon its kill made after an enormous effort if someone cuts wood nearby or a group of people go past the kill talking loudly. There is dire necessity, therefore, to ensure that at least the core area is made free of disturbance”. He talks about the benefits of Conservation of the western ghats in a manner the stakeholders can understand. The interesting feature of this book is that in each chapter, there is a map which tells us the location of the place in the vast western ghats in Goa, Maharashtra, Karnataka, Kerala or Tamil Nadu. The book is adorned with some nice photographs, which help in telling the story. Infact most of these photos are clicked by the author himself, revealing another facet of his personality. Dr. Johnsingh has also suggested reintroduction of some species in their former range. In the sigur range he suggests that “we should also initiate steps to reintroduce the chinkara and nilgai since nearly 600 square kilometres is available to house this species”. In the chapter titled a “Bridge across the ghats” he writes “one management goal for the Satyamangalam Tiger Reserve should be to bring back the nilgai and chinkara which occurred in this landscape, according to Major Phythian Adams. 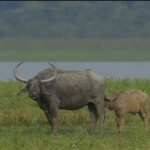 He recorded seeing the nilgai on the Mettupalayam road and its occurrence in a greater number in the Moyar valley. He also wrote about the occurrence of the chinkara in the Coimbatore Forest Division”. Dr. Johnsingh’s suggestions should act as a big solution as the Government has given orders to cull nilgai from many North Indian states and hundreds of them have already been killed. 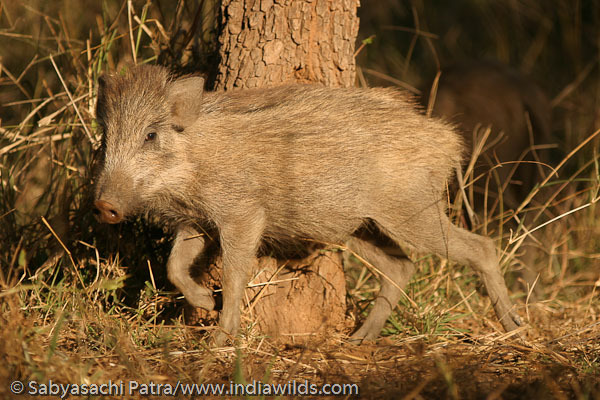 Rather than pandering to the interests of the hunting lobby, some nilgais can be captured and reintroduced in the Sathyamangalam and sigur landscape. Dr. Johnsing’s love for the Western Ghats seeps through his writings. “I have quenched my thirst in the many rivulets and often my tired body has been soothed by the passing mists. Each time I have descended to the warm plains with increasing conviction that the Western Ghats, with its peaks, breath-taking scenery and numerous streamlets, is a legacy for humankind and its destruction should not be permitted any longer. It is an inheritance of the people of Peninsular India and should be protected with all our might and vision”. 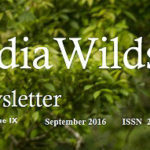 “Walking in Western Ghats” by Dr. A.J.T. Johnsingh contains 168 pages packed with information, maps, attractive colour images, sketches and references as well as adventure stories which will keep the reader return again and again to digest it. Published by BNHS and Oxford University Press, this book in paperback is priced at Rs. 450/- and is a must read for nature enthusiasts, adventure lovers, naturalists, conservationists, researchers, officials as well as students. The book is available online in Amazon at Rs. 414/- . Personally I would treasure it, as the author has gifted me a signed copy, which will take pride of place in my book collection and also because it will help me in my journeys. Thanks for the nice brief. I have ordered the book. I very much desire to take planned trek n the western ghats with a local guide and hope this book will facilitate planning the same.